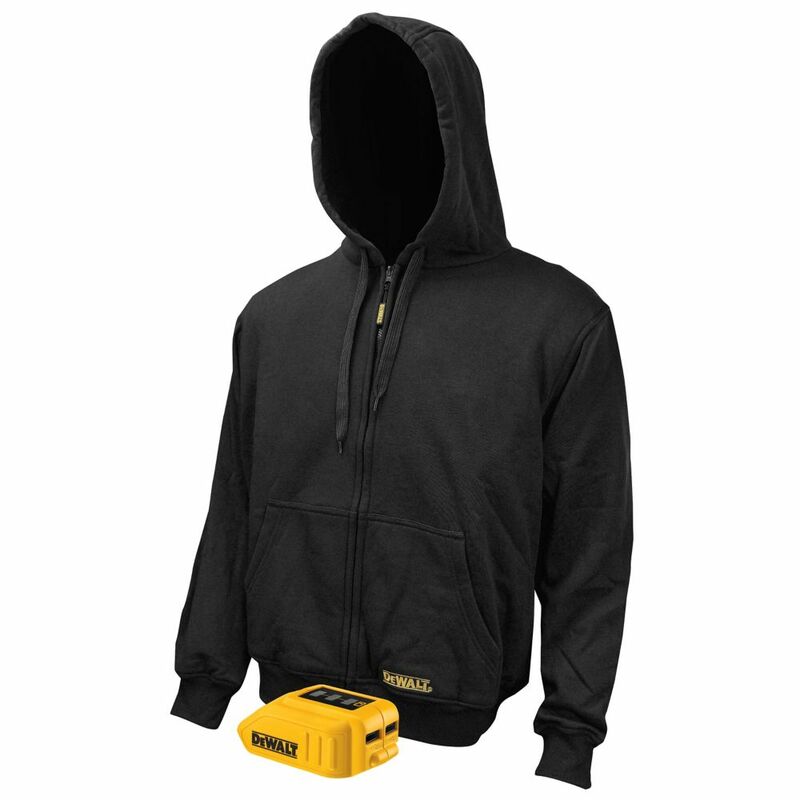 Dewalt 12V/20V MAX Black Heated Hoodie DEWALT 20-Volt/12-Volt MAX black heated Hoodie. 20-Volt MAX and 12-Volt MAX batteries can provide hours of core body warmth and continuous heat. Up to 7 hours of runtime on low setting using the 20-Volt MAX compact 1.5Ah battery. Durable water and wind resistant cotton twill outer shell. Dewalt 12V/20V MAX Black Heated Hoodie is rated 4.0 out of 5 by 1. Rated 4 out of 5 by Tedder from Works great A good quality hoodie with the extra heat inside is great on these cold winter days.